Be warned: I'm in a Lipstick Queen mood (see this). 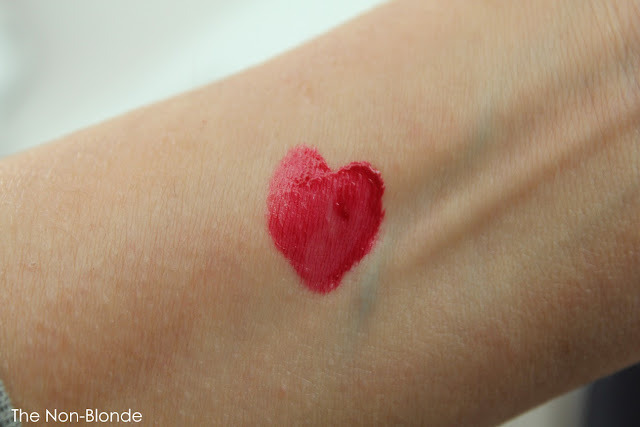 But today we're talking Lust, one of the Seven Deadly Sins glosses, a beautiful true red. The real story here is less the color (I have a drawer full of reds), but the fantastic texture and finish. 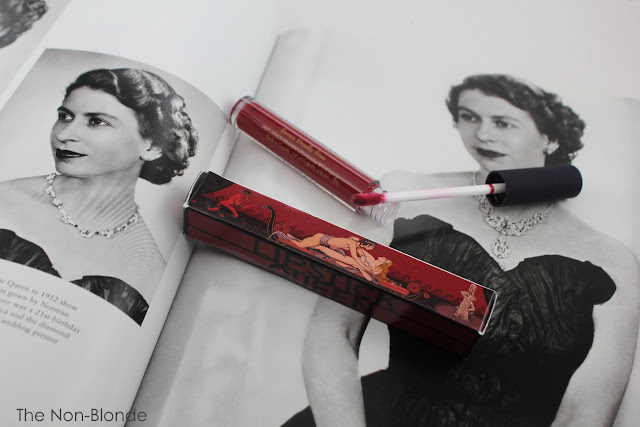 At first I thought that Lipstick Queen Lust was kind of a liquid lipstick. It's that pigmented and semi-opaque.The texture is incredibly light, non-gloopy and spreads smoothly with the doe-foot applicator, creating a semi-satin finish that stays on the lips longer than the average gloss and leaves a nice stain. I love the light moisturizing feel of the gloss and how comfortable it is. When I first swatched it I thought it'd go more berryish on my lips, but no. 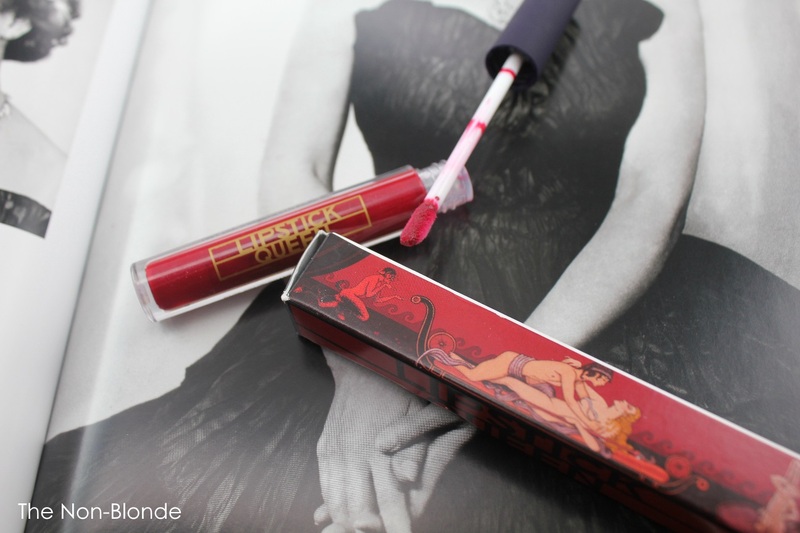 It's a real red, easy-going enough for daytime wear, free of fragrance and taste, and just a quality grownup sort of gloss (the image on the box is somewhat risque, as befitting the sin of lust). Bottom Line: I'm bringing my lip colors to hell. Lipstick Queen- Lust from the Seven Deadly Sins Lip Gloss collection ($24, Made in Canada) is available from Barneys, Ulta, and Beauty.com where they're having a 20% off F&F sale as we speak. The book in the background is Queen Elizabeth II: A Photographic Portrait by Philip Ziegler. I've always wanted to know what lipstick color my imaginary cousin was wearing in that 1952 photo shoot. I don't even like gloss and you made me want this. 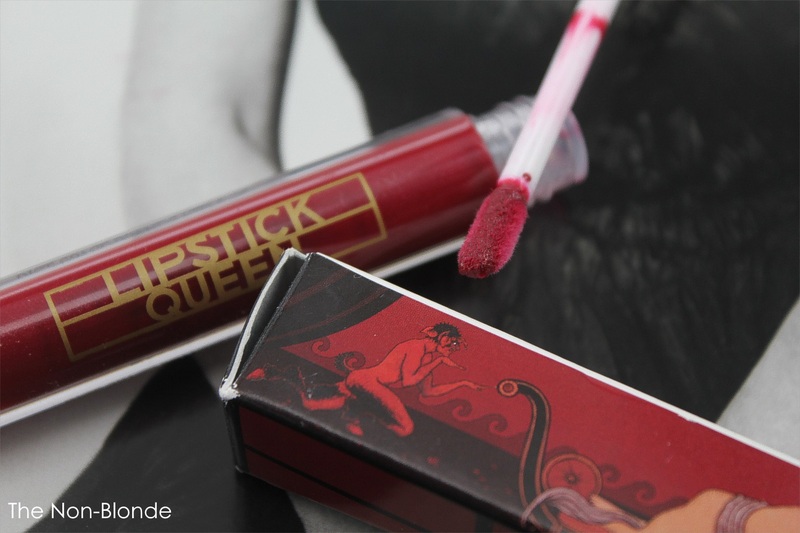 D: And man, Lipstick Queen always knocks it out of the park with their packaging!